Here in my home county of Cheshire we have a huge silk connection in the east side of the area, in the town of Macclesfield. In the 19th Century the town was one of the world's biggest producers of finished silk goods and had 71 silk mills operating. Of course, the silk weaving is gone today but the town bears reference to its important past in many places. Referred to as 'Silk town', there is the Silk Road and the silk museum among others; a town proud of its silk producing heritage. No wonder really for silk is a beautiful natural fibre that has so many useful properties whilst also looking so luxurious. The benefits of silk are countless from health to beauty. Gingerlily Luxury Bedding made from pure silk not only looks simply gorgeous in your bedroom but is beneficial for your health and sleep. So much lighter than cotton, the A grade mulberry silk used by Gingerlily is a natural breathable material helping your body temperature to regulate whilst you sleep. I often wake up feeling far too warm and a night of broken sleep sets me up for a day of feeling grumpy and lethargic. The wondrous properties of silk keep you cool in warm weather but warm on cooler nights unlike other duvets that cause overheating. A duvet filled with pure silk is perfect to help you get a comfortable night's sleep. My mother has always told me that a silk pillow helps keep away the wrinkles and she's right! Ever woken up with sleep creases on your face in the morning? I have and as you get older they seem to take longer to disappear. Some can even end up being permanent wrinkles! I always sleep on the same side so the left side of my face will always be under the mercy of those rough cotton pillowcases that also draw moisture from my skin. There is a saviour though in the form of a gorgeous silk pillow which being natural, actually contains a high percentage of a protein which can counteract our skin's ageing process and allows skin to retain moisture. In addition, the softness of silk will not drag and pull at our delicate facial skin as we toss and turn throughout the night. Our skin slides against the silk and we wake up beautifully crease free, a huge bonus I'd say. Likewise for hair. As opposed to other materials which rub against hair and cause damage, silk is kind, allowing the hair to glide over its surface. For those of us that straighten hair, it can help hair stay perfectly straight for morning. Allergy sufferers can have a poor night's sleep with regular feather, down and synthetic duvets that harbour dust mites and moulds. Shudder at the thought of these lurking in your bedding triggering sneezing, runny noses, watery eyes and in worst cases asthma. Not pleasant at all. 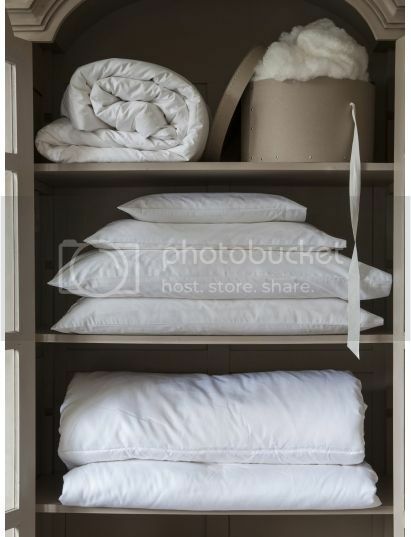 Fortunately there is a healthier option in having silk bed linen which is both naturally hypo-allergenic and resistant to dust mites, acting as a defence to these harmful allergens and helping allergy sufferers get a sneeze free sleep. Silk being so soft is perfect for those that suffer with eczema. It will not aggravate the skin and has been shown to help skin absorb moisture thus helping anyone with dry skin or eczema. Silk is an investment for your health and for that rejuvenated night's sleep that we all crave. Of course there is also nothing as sensuous as silk on your skin and as luxurious as that feeling to slip between silk bedsheets. Gingerlily are silk specialists with a range of beautiful products from duvets and bedspreads to cushions and pyjamas. Their silk is the finest quality mulberry silk and is available in many colours and patterns.